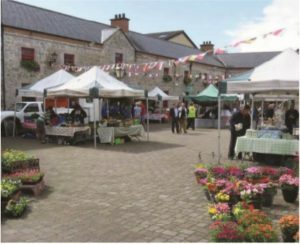 Every Friday, there’s a buzz about Manorhamilton as people come along for a hot coffee and a mingle around the market. 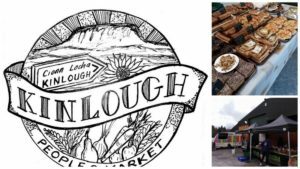 Now running for 14 years, talk to the dedicated and passionate stall holders who love sharing information about their: fresh fish, artisan Irish cheeses, local honey, freshly baked breads and cakes, fruit and vegetables. All local fresh produce. A brilliantly organized market full of gorgeous produce. Enjoy a friendly welcome with warm teas/coffees and treats. Many wonderful finds from homemade fresh baked items, scones, cakes, biscuits, cupcakes, artisan sourdough, breads, pizza, soft goats cheese, locally produced eggs, jams, fresh fish, organically reared pork products and sometimes beef and lamb, organic carrots, potatoes, turnips, onions, seasonal vegetables, plants, natural remedies, soaps, crafts and beautiful flowers when in season. 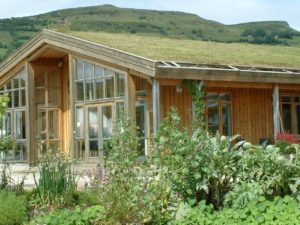 FREE EVENT (Sun 28th April 2019) The Organic Centre join forces with the IEN on a campaign they are involved with, through the EU-funded project ‘Make Europe Sustainable For All’. The thematic campaign this year is ‘Sustainable Food Production’. We will feature film screenings, speakers & discussions. Organic popcorn, lunch and treats will be available. This should be an eye opening event so don’t miss out. We will have available our New Season Plants. Every Thursday, find wonderful produce and tasty treats for all the family. Guaranteed only the freshest seasonal, organic, local produce reaches the stalls. Lovely selections of fresh fruit and veg, cut flowers and plants, fresh fish, organic meat, homemade bread, crusty French bread, fluffy croissants, olives &amp; dips, eggs and farmhouse cheeses. If you have a sweet- tooth try the fabulous range of yummy home baked goods.